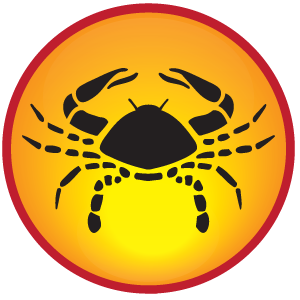 Cancer Sign people can read here Cancer HOROSCOPE 2016, Cancer Astrology, Future Prediction with 2016 Cancer Horoscope. Health, Love, Career, Financial Horoscope 2016 of Cancer. Saturn is Moon’s favorite enemy, as per beliefs. This is one of the prime reasons, as to why your married life is not that blissful at times. Problems are possible in domestic life due to family members and not because of your spouse. Things might go extremely wrong after August. But relationship with your spouse will improve. It seems that you might get issues in eyes, stomach, thighs, food pipe, and nerves. It would be good to take the help of Ayurvedic treatment. On the other hand, if any major issue is there, it would be good to look for other alternatives. Regular intake of 1 spoon of Neem powder with warm water will keep you away from many problems. Rahu is going to reside in your second house for long. Jupiter will move into the next sign in the month of August. Both these reasons will compel you to remain very careful regarding your finances. Avoid getting attracted by sugar coated words and lending money to anyone, as strategies are possible against you. Good thing about this year is strong possibility of getting wealth profits; hence, you need not to worry. However, your very own actions might lead to wealth loss. It is the year to earn prestige and success in job. Sixth house lord will aspect sixth as well as tenth house. Its conjunction with Rahu might invite minor troubles for you. No need to panic please, as you will conquer all. Arguments are possible with juniors, so be careful. Time is good to look out for new job. Some of you will get blessed with promotion as well. Abundant profits will enter the lives of businessmen born under this sign. Whatever business you own, name and benefits are assured in it. Your competitors will try to copy you, but will fail badly. Your success Mantra in this phase is keeping control on your ego and reaping maximum profits in this time. Cancerians going through Maha dasha of Jupiter will cherish jackpot filled with progress and prosperity. Benefits will come to others as well, but not that much. For matters of heart, this year is great for you. You might fall for someone much older than you. Besides this, inter caste love affair is also very much possible. Most of the times, your relations don’t survive for long. Do you know the reason for this? It’s because Saturn is lord of your eighth house, which directly or indirectly affects your bond. However, don’t think about it now and keep giving your best efforts in your current relationship. S#x Life: Ketu’s transit in your eighth house might bring complications in the genital organs of males. For women, it will lead to problems related to menstrual cycle. This aspect doesn’t look that blissful and you might take interest in establishing relationship outside your marriage as well. As a result of this affair, you might get attacked by some disease. Sexual desires will rise at their peak and will make you restless. However, avoid going on the wrong path to get such pleasure. Cautions: Investments need to be avoided from April 17 to June 29. Keep good relations with friends and authorities from July 15 to September 6. These are the dates that need to be handled carefully while associating with such people. Transition of Moon into Leo, Sagittarius, Aquarius, and Gemini is the duration that needs to be dealt calmly. Do not take sudden actions. Remedies: Cancerians going through Maha dasha of Saturn should chant Hanuman Chalisa. Fast should be observed in case you are suffering from Maha dasha of Jupiter. More goodness can be fetched by donating clothes and money to a Brahmin on Thursday. Chant Devi Kawach thrice a day, in case going through Maha dasha of Rahu or Ketu.